Following on from our previous posts on female specific cycling issues, we thought we would speak briefly about what you might do to adjust your road set up to make braking and shifting gears easier. This applies to anyone really, but it is those with smaller hands that tend to have problems and not know how to resolve them. With regard to the adjustments below, we are making an assumption that everything else is set up for you, otherwise it may invalidate these changes and explain why they don’t work. To start with, I guess we had better show you what a brake hood is. There are three main brands that produce them, Shimano, Campagnolo and SRAM. This affects how you might adjust the brake hood to make it more comfortable for you. We will talk about this in more detail shortly. For your wrist to be comfortable, and for you to be in the best position for your muscles to work to grip the hoods and use the breaks, you will probably need to make some adjustment to the set up. You can adjust the hood forwards, backwards and sideways (remove the rubber bit and you should find an allen key adjust which will let you move it). We generally find setting it up to approx. 25-30 degrees the optimal angle, and a slight inwards tilt makes it easier for you to grip the brake lever. However this may vary slightly depending on what you want to achieve and how you are riding your bike. If you have made the above adjustments and are still struggling, the groupset might not be providing you with the best contact point. 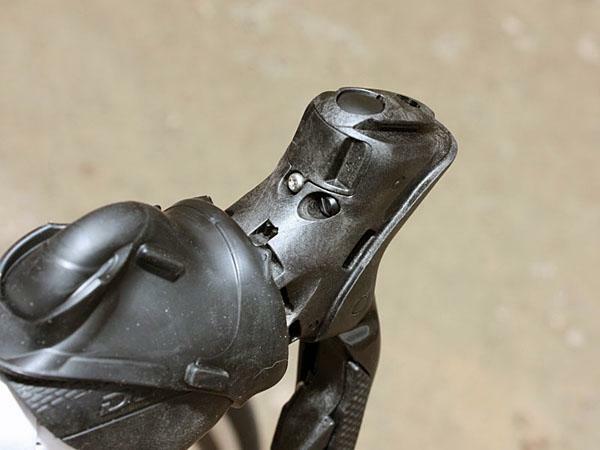 If you are having problems with the size of the grip, it might be worth investing in a better groupset such as Shimano Tiagra (2016 onwards), Shimano 105, SRAM or Campagnolo. Many modern systems now allow you to manoeuvre the brake lever into a better position so you can reach it when riding on the hood or on the drops. 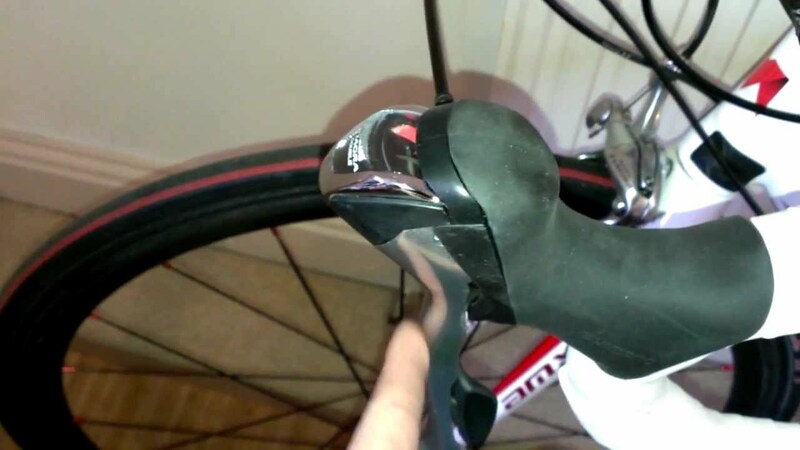 If you have adjusted as per Problem 1 and still having problems reaching the brake levers, think about either moving the lever down a bit, or moving the lever closer. 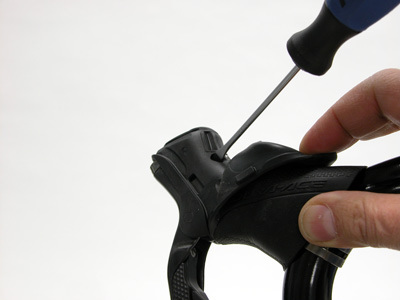 Some Shimano systems require shims to be placed in between the lever and the hood system. 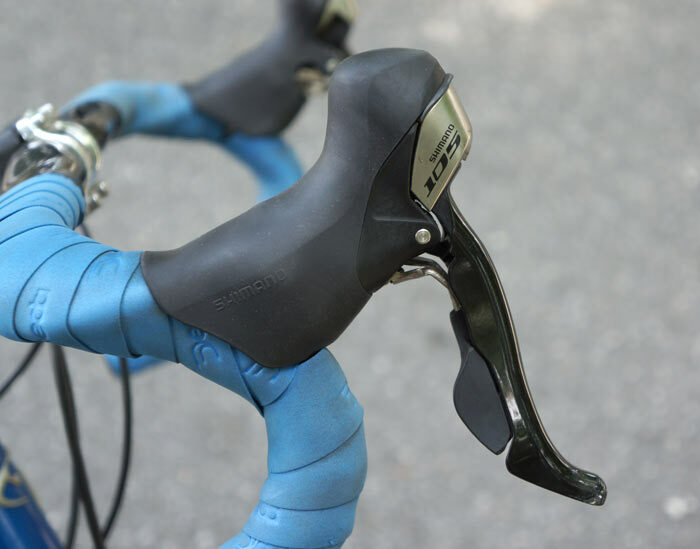 Unfortunately most Campagnolo levers don’t come with a good level of adjustment (although I personally find them naturally very comfortable), so you really have to rely on moving the hood to optimise the lever position, rather than being able to move other bits. One of the consequences of having a poor brake and gear set up means you can get numbness, sore wrists, sore elbows, sore neck and back, and also struggle to maintain your position over longer rides. You don’t need to suffer in silence. 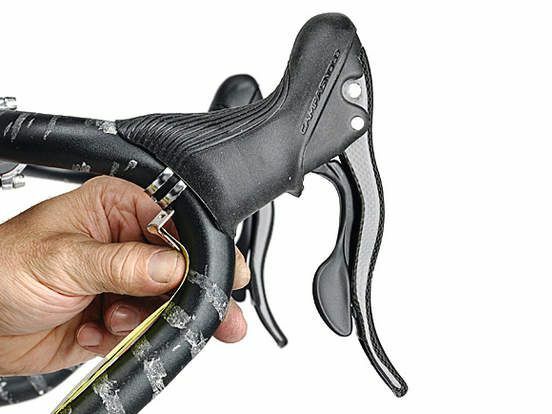 *Note* if you make any adjustments to the brake lever, please be aware this may affect your braking as the tension on the cable will have changed. If you are unsure how to make any of these adjustments please consult with your local bike technician or bike shop.